Discussion in 'Guitars in General' started by nitroburner1000, May 6, 2016. Hi all. Im looking for some help. 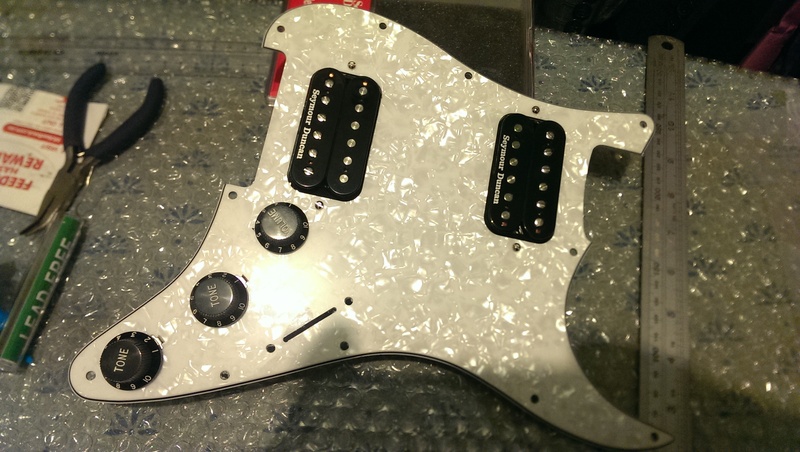 Im upgrading my MIM HSS strat. Ive had it about 3 years and want more sound choices. 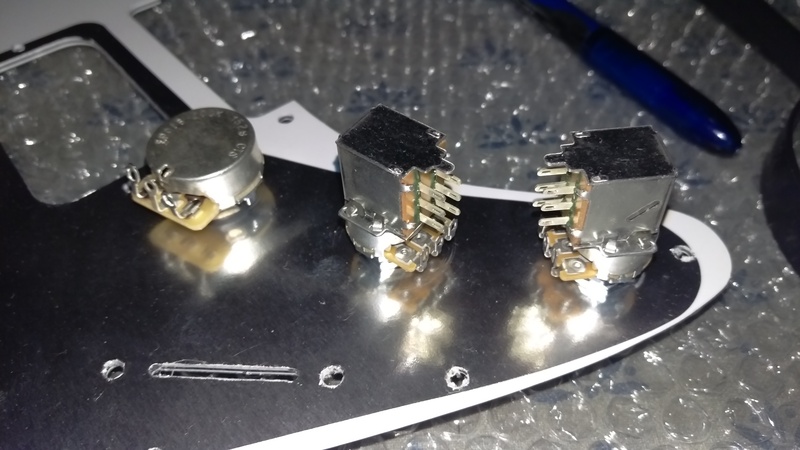 Ive been reading a lot about the big apple strat and am going to try to clone it. I want to use the 2 tone push/pulls to each control a single pickup. 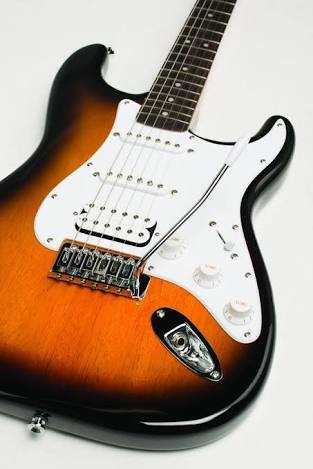 I want them to control series/parallel, one for the bridge and one for the neck. 3 questions....... How do i connect the push/pulls into the big apple strat wiring circuit, ( a diagram would be much appreciated)? and... on the big apple i want to leave out the 2 resisters, do i have to replace them with normal wire or leave them off completely? And... is the big apples 2 pole superswitch connections the same if i use a normal 4 pole superswitch? Thanks in advance for any help i get. Ive posted on other forums and they said it cant be done without either flipping the magnets or messing up 2 and 4 positions.